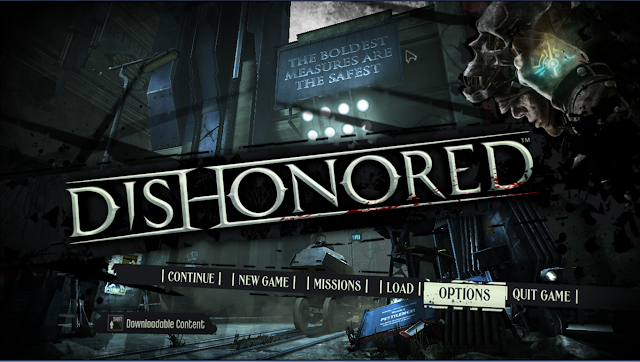 So I've just started Dishonored yesterday; and I obviously haven't gotten far enough to write a review yet, not that I have the time now (just saying, but i'll try). But about all early reviews of Dishonored have been highly-positive, if not very positive sitting comfortably above the 90 mark (out of 100), and multiple commends for being top contender for 2012's Game of the Year. True enough, my own first impressions stay true. So now that Dishonored has proven to be such a success, will there be a sequel? Speaking to Kotaku, one of the lead designers of Arkane Studios, Harvey Smith, related that he isn't very sure about this though the team has (pretty obviously) thought about this matter before. A sequel would be great, that's obvious, but then again, wouldn't it make Dishonored even greater if it was a one-shot thing. Premium. "Part of me would love to see future games leverage this would," Smith explained, "and part of me would love it if the vault door was just closed and that's it. This is your one view into the Empire of the Isles and into the city of Dunwall." Personally, I find a Dishonored 2 unnecessary. Great games should stay gold, let's not start milking every single fast-selling games to a long, unending cycle of franchise (excluding Assassin's Creed of course, hehe). What's your say? Are you in it, or out of this for a sequel?